Venis Sollievo Gel has excellent eudermic properties and has been specially formulated to encourage circulation in the event of water retention and lymphatic stasis. Specific and natural active principles have been meticulously selected for this formulation to guarantee treatment efficacy for capillary fragility, varicose veins and for feelings of heaviness and swelling to the lower limbs, especially towards the end of the day. The gelatinous agent enables its content of precious components to be a hundred percent readily available and with a greater activity level compared to normal cosmetics, in order to recover the feeling of natural, light legs. 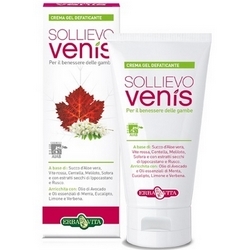 Venis Sollievo gel is rapidly absorbed and leaves the skin smooth and non-greasy. 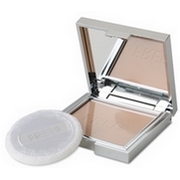 Apply the gel onto legs and massage from below to above until completely absorbed. Two applications per day are recommended, preferably in the morning and in the evening. Aqua, Propilene Glicol, Vitis Vinifera Extract, Ruscus Aculetaus Extract, Vaccinum Myrtillus Extract, Hedera Helix Extract, Escin, Carbomer, Triethanolamine, Imidazolidinyl Urea, Polyglycerylmethacrilate, Ethodydiglycol, Disodium EDTA, PEG-40 Hydrogenated Castor Oil, Lavandula Angustifolia, PMV/MA Copolymerparametil.